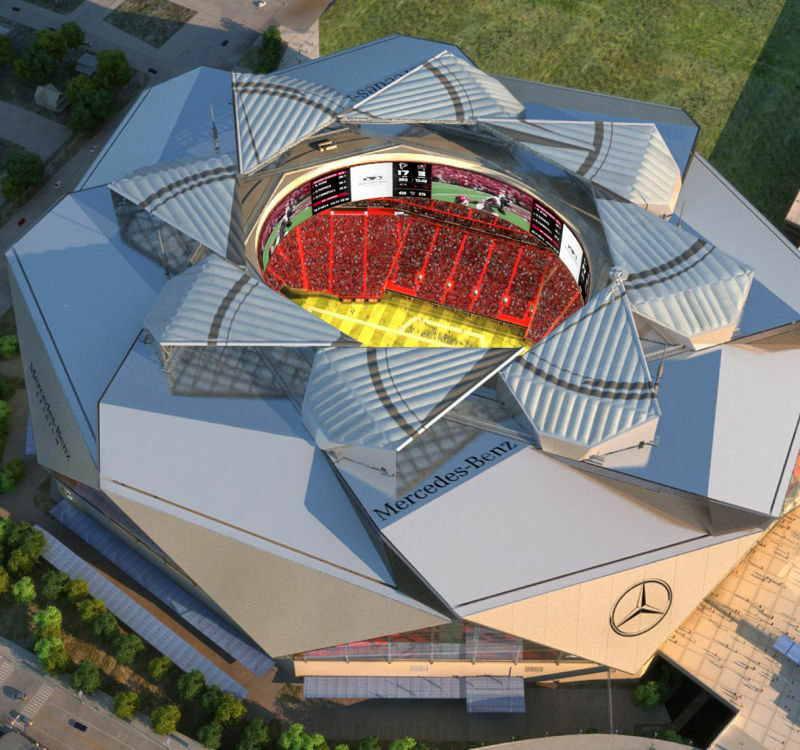 Mercedes-Benz Stadium is the currently under-construction new stadium of NFL team Atlanta Falcons and new MLS franchise Atlanta United FC. 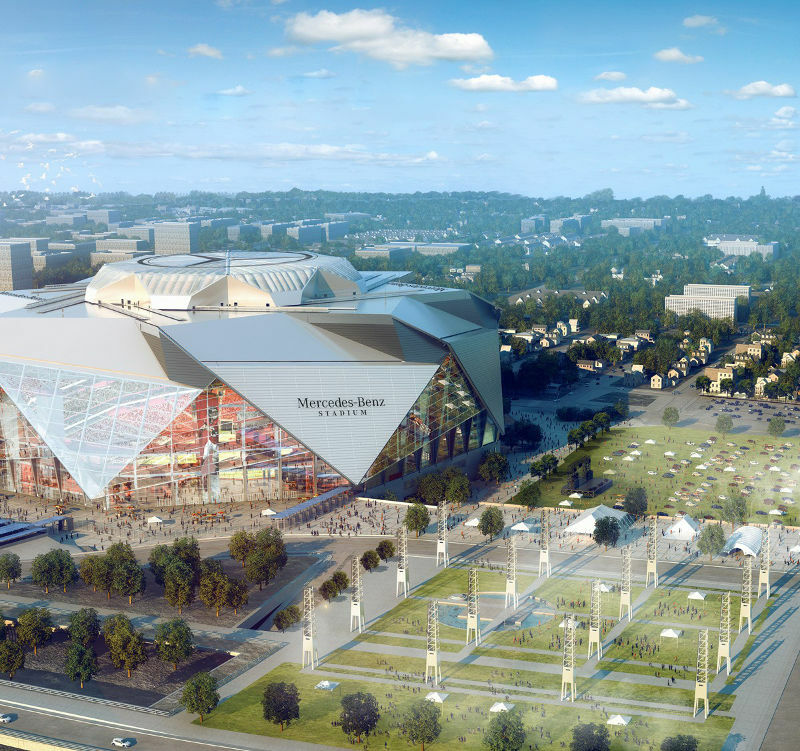 First suggestions for the construction of a new stadium for the Atlanta Falcons were made in 2010, which became concrete plans in 2012. In the next years funding was arranged and designs were finalised, resulting in the start of construction in May 2014. 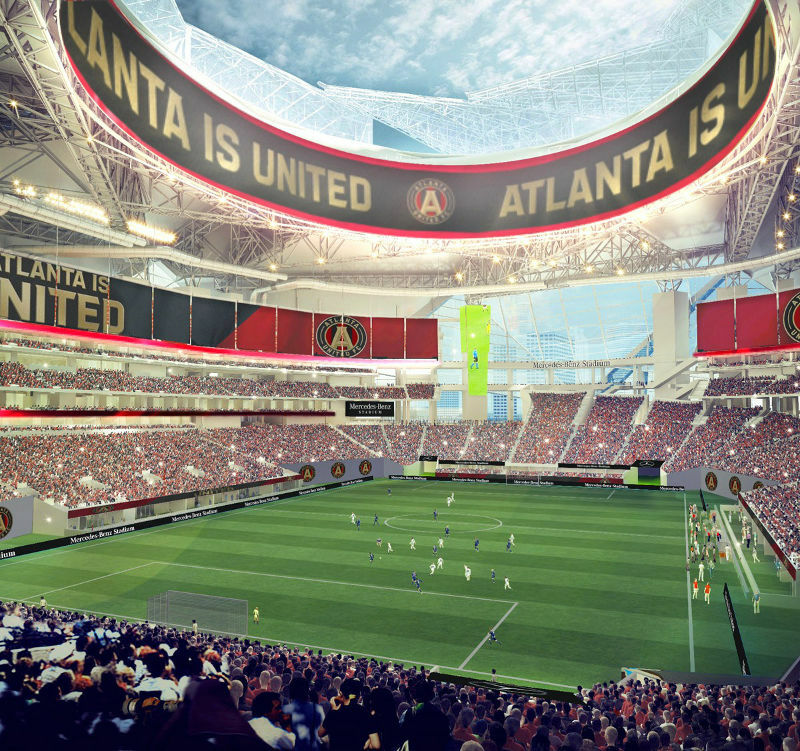 The stadium is scheduled to be completed in 2017, which is also the first season that Atlanta United will play in the MLS. 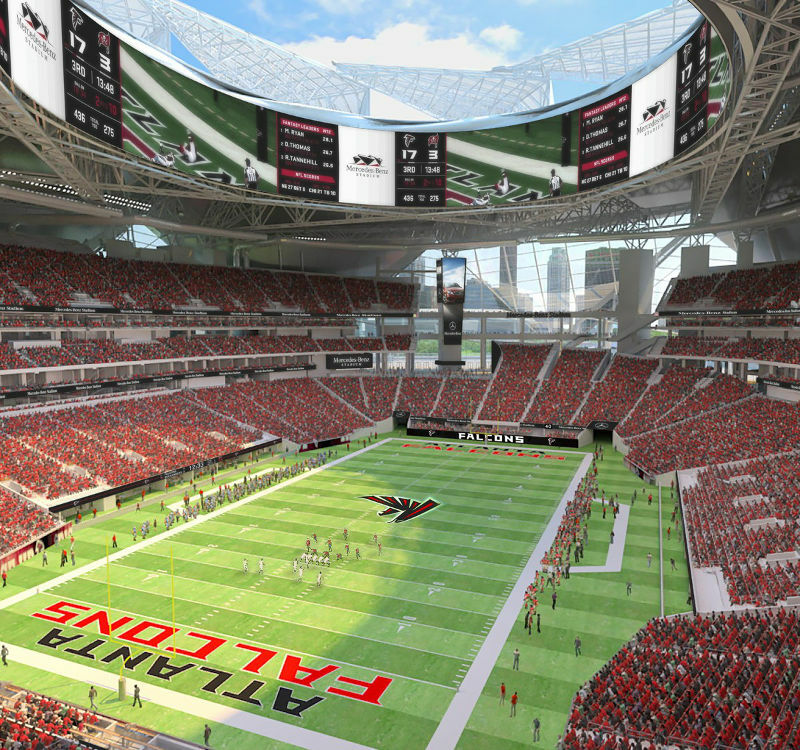 Mercedes-Benz Stadium will have a seating capacity of 71,000 for NFL games, of which 7,500 club seats and 190 suites. Capacity can be increased to up to 81,000 for other events, while capacity for MLS games will be reduced to just over 32,000 seats. The stadium will be adjusted for soccer matches through additional retractable seating closer to the pitch and curtains that close off the upper tiers. 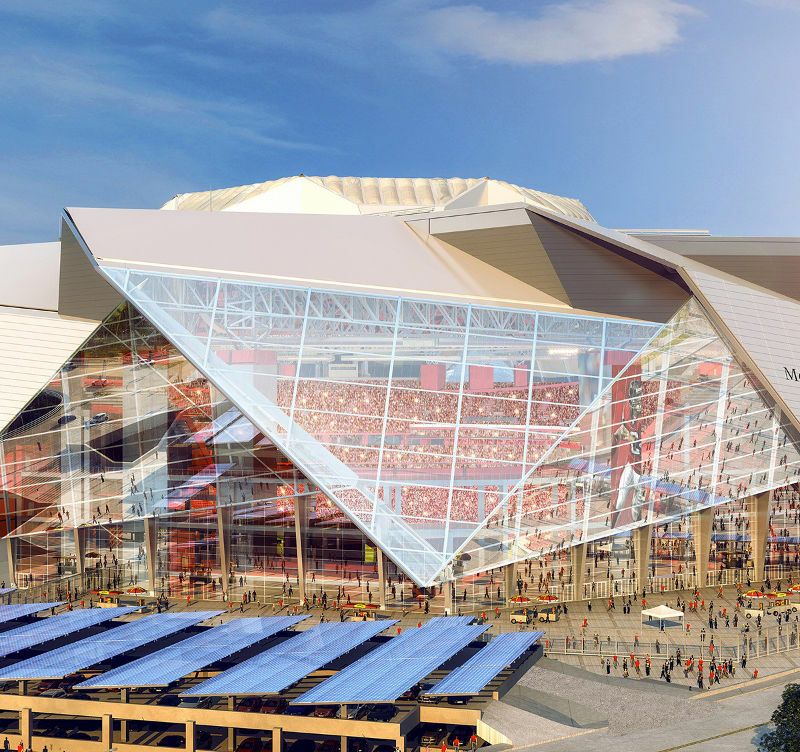 The stadium will have a retractable roof that consists of triangular panels that open and close like a photo camera. It will be equipped with the latest technology including a 360 degree HD video halo board built into the roof. It has been designed by HOK Architects. 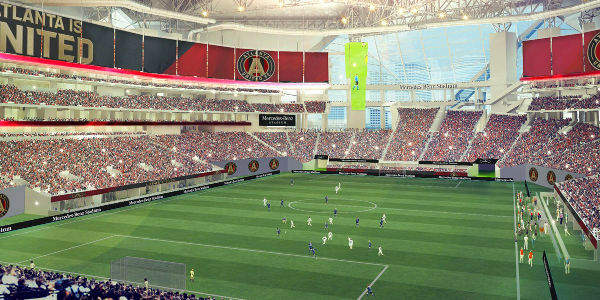 The stadium will be built on a site just south of the Georgia Dome, the present home of the Atlanta Falcons, which lies just west of downtown Atlanta. 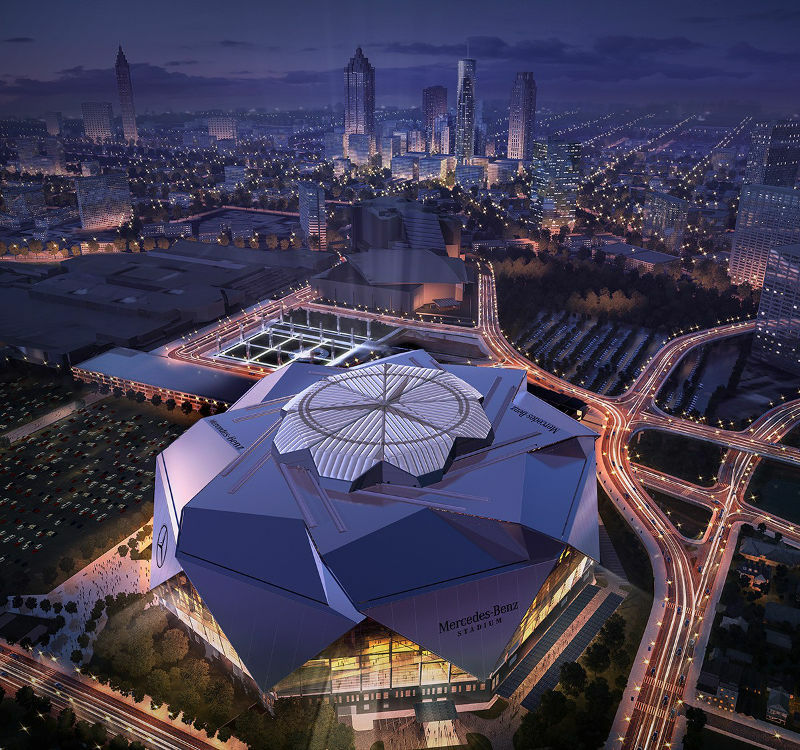 Mercedes-Benz Stadium will come at a cost of US$ 1.4 billion, part publicly part privately financed.